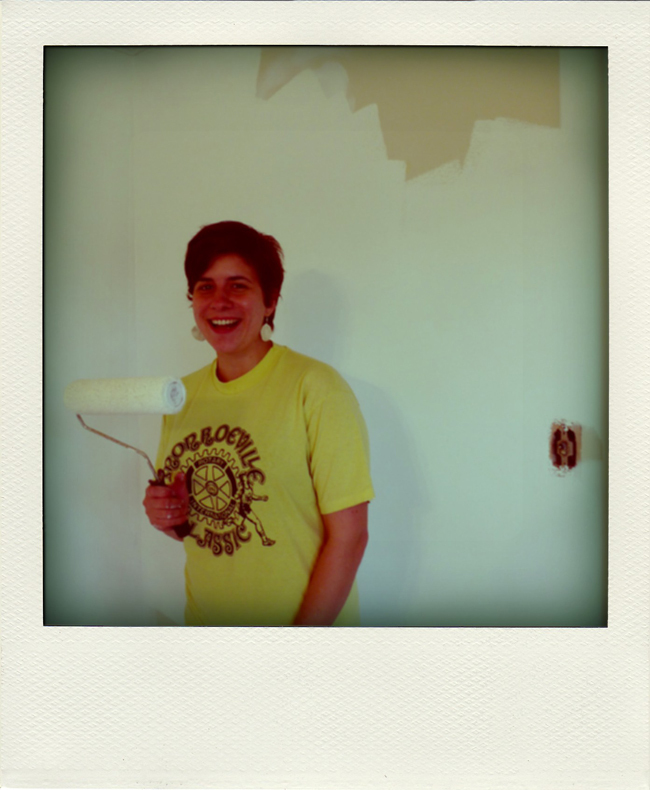 This weekend was the big move for Annie + Chris, and so our time was spent cleaning, packing, moving, and painting. The house was built in the 50's, and has a lot of charm. Annie has lots of remodeling projects planned for the future, so it's going to be fun to see it evolve. 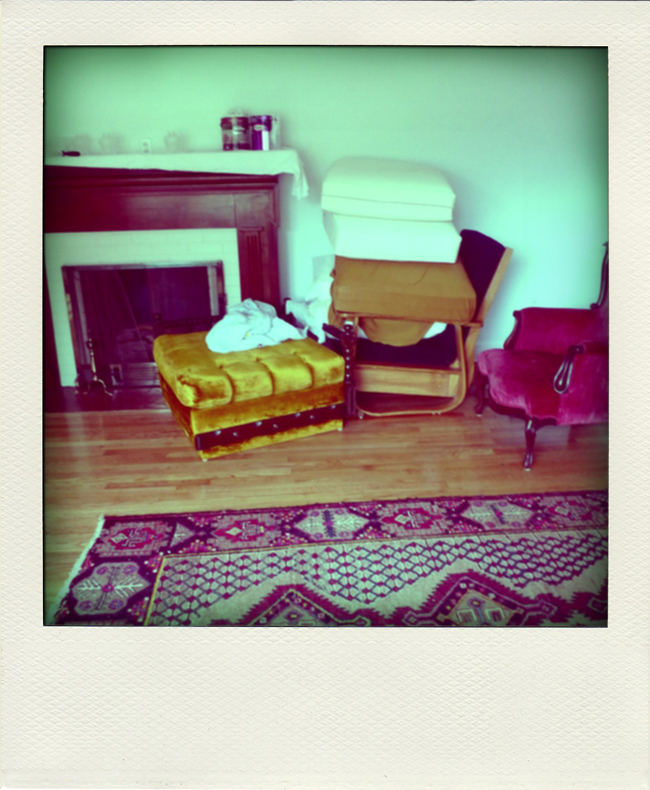 Moved a few things into the living room... isn't that fireplace fabulous! The new homeowner, putting a fresh coat of white paint on. 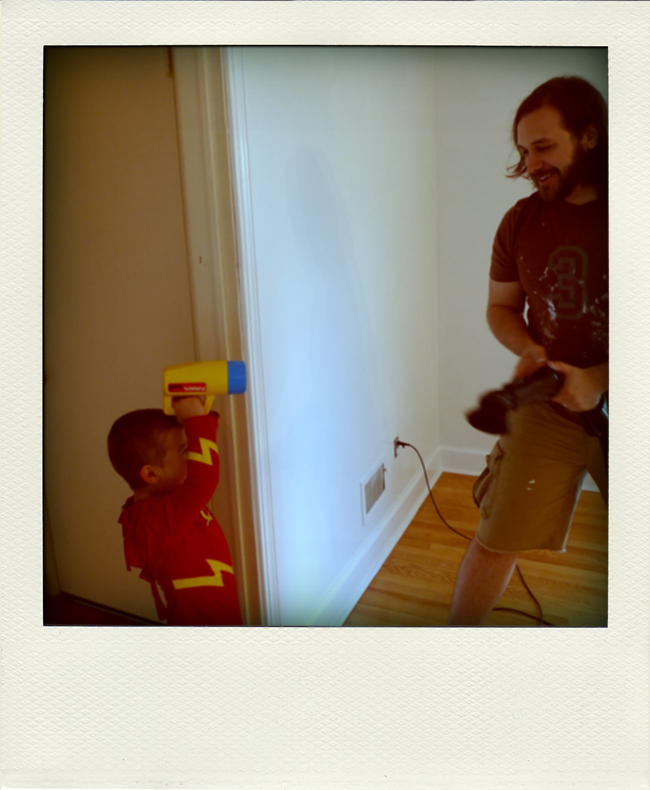 A battle between a little superhero and a vacuum. 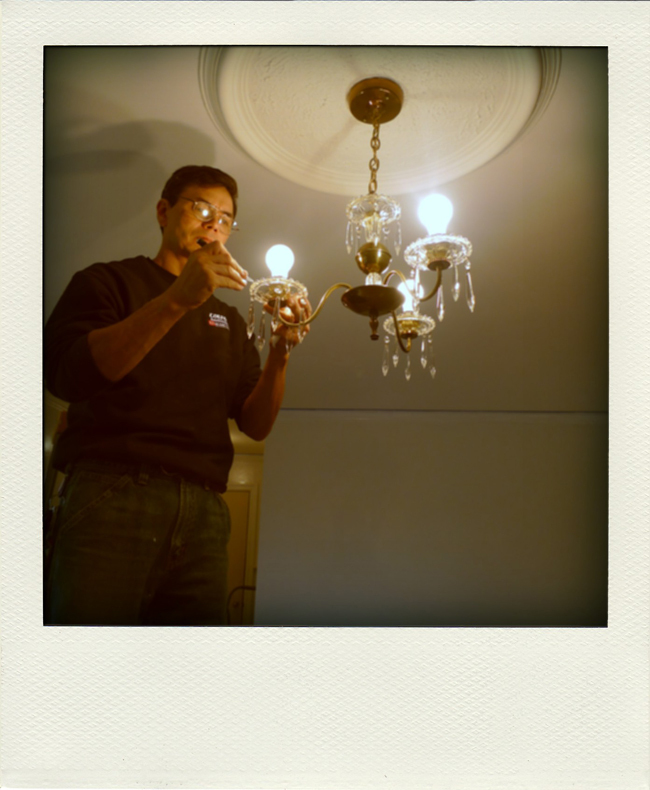 My dad, cleaning the light with an xacto knife (this is after he scrubbed the crystals). He cracks me up. Ha! Love the photo of Dad cleaning the light. He's so intense. He cleanes all the lights at home.